arrive at the Teatro Verdi for us, we are right there in front! Ci trovi proprio nel centro di Firenze, vicino a Piazza Santa Croce e al Bargello, ti basterà arrivare al Teatro Verdi per trovarci, siamo proprio lì di fronte! the Ristorante Il Vecchio Cigno! Ristorante Pizzeria Il Teatro, in the heart of the cultural and artistic life of Florence, close by the Church of Santa Croce and the Bargello Museum, facing the Verdi Theatre. 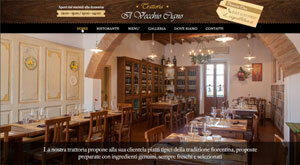 We are pleased to meet all quality requirements and serve typical and tasty Tuscan food. Delicious meat and fish courses and classic wood-fired oven baked pizza!